It is not often a person can combine education, family, housing, design and a deep love for all into one project, but that is exactly what has happened at ADDRESS with Aref Shafik and his family. He has agreed to give the Lakewood Observer a brief look at his work, his family and share his love that will soon be on the market for the next loving family to acquire and take over. West Shore Career-Technical District Outstanding Student Award recipients were honored by the Rotary Club of Lakewood and Rocky River at a luncheon on March 13 at the Don Umerley Civic Center in Rocky River. What are you doing on Friday, October 21st? If you’re hip and groovy, you’ll be partying on down at That 80s Party at Vosh starting at 6 p.m. That’s when the fun begins with an open bar, appetizers, games of chance, groovy 80s music and at 9 p.m., live music from That 80s Band. That 80s Party is being hosted by Rocky River Howard Hanna to raise funds to benefit the Children’s Free Care Fund which helps to assure that children are never denied the best medical care available - - - whether helping children without health care pay for treatment or helping fund cutting-edge care that insurance may not cover. The Lakewood Real Estate Market remains one of the hottest, if not the hottest, market on Cleveland’s west side! The Lakewood housing market is hot, but are you ready to make an offer? With proper preparation, you can enter the homebuying process with more confidence. LakewoodAlive is teaming with Empowering and Strengthening Ohio's People (ESOP) – a full-service, HUD-approved housing and financial counseling agency – and Third Federal Savings & Loan to offer a pair of educational workshops for prospective homebuyers. The free, two-part Homebuyer Education Workshop series will take place from 6 to 9 p.m. on Thursday, Aug. 18, and Thursday, Aug. 25, at Clock Electric, Inc. (1624 Coutant Avenue) in Lakewood. This workshop series will teach the important basics of homebuying, equipping attendees with knowledge to successfully maneuver through this process. Attendees are encouraged to attend both portions, as the Aug. 25 course will build on that from Aug. 18. This week, the Ohio Development Services Agency announced awards of $27.8 million in Ohio Historic Preservation Tax Credits to 26 applicants for the rehabilitation of 39 historic buildings across Ohio. July 4th reminds us that summer is here! It's time to gather with friends and family for cook outs and picnics; time to hit the beach and pool; time to sit back on the front porch and relax on a warm summer night! The Lakewood Housing Market Is On Fire! Spring is here, the election is coming, and the market is HOT! This is the best housing market Lakewood, Cuyahoga county, and Ohio in general has seen in years. Go small, but dream big. A new ten-residence luxury townhome community is set to break ground on Lake Avenue, in the historic Edgewater Neighborhood. 95 Lake is a collaboration of developer, Andrew Brickman of Brickhaus Partners and architect Scott Dimit. It is the newest addition to a Brickhaus portfolio that includes other award-winning communities like 27 Coltman in Little Italy, Clifton Pointe in Lakewood, RiverSouth in Fairview Park and perhaps the most iconic community in Cleveland (where "Draft Day" was filmed), Eleven River along the banks of the Rocky River. The official groundbreaking ceremony will take place on Thursday, April 28 - 5:30pm at the site of the former St. Thomas Lutheran Church on Lake Avenue. Honorable attendees will include Mayor Frank Jackson; Ward 15 Councilman Matt Zone and Cudell Improvement Executive Director, Anita Brindza. Councilman Zone and Ms. Brindza Zone were both instrumental in shepherding this project through the zoning process. -Add splashes of color to your porch with potted flowers. Larger pots filled with tulips or daisies and accented with greenery make a nice touch. By introducing seasonal colors to the outside, your home becomes very attractive to prospective home buyers. -Bring spring colors into a home with accessories like throw pillows, area rugs, artwork, towels and bedspreads. If you change accessories, the whole house changes. -Use decorative knickknacks that speak of spring, such as pears, eggs, and seashells. Add leafy patterns in fabrics and wicker. Use real leather and rusted metal as contrasts. Don’t be offended if an agent suggests that you paint before placing your home on the market. They understand “color psychology.” Since people’s reaction to color is immediate, it can have a tremendous influence on their daily choices. The results are in! Despite rarely having more than 100 homes for sale any given month, Lakewood posted another solid year in real estate sales! Home sellers spend so much time preparing their interior for the sale that they can easily overlook the outside. Great curb appeal invites prospective buyers to view the rest of the property. In fact, it can increase the value of a property by as much as 15-20%. That's right. Now is an ideal time to list your home for sale before winter is upon us. During Fall, many people take inventory of their lives and begin to make decisions on where they want to be in the new year. Of course many sellers will delay, and wait to list their homes during the "spring selling season," but if you are serious about making a move there are several reasons to do it now. The Northern Ohio Regional Multiple Listing Service just released the September stats for our 18-County service area. As we enter October, Lakewood real estate remains as active as ever. Through 9 months, sales are up over 3% as compared to the first 9 months of 2014, and the Median Sales Price is up over 5%. Despite only 77 single family homes for sale (as of October 6), the market is active with buyers looking for the right house to make their home. Lakewoodites can track local market activity at www.HomeValuesInLakewood.Info. The Northern Ohio Regional Multiple Listing Service recently released the July Statistical Report for the 15-county area that makes up NE Ohio. Year to date, New Listings are up 4.8%. Sold Listings are up 13.4%. Sales Volume is up 17.1%! The Average Sales Price continues to improve, up 3.3% through 7 months. Market Time continues to improve, dropping 4% to an average of 90 days. The first half of 2015 is officially in the books! Can anyone believe it is already July?! It is time once again to take a look at the state of real estate in Lakewood and compare the first half of 2015 to what happened a year ago. The RNC Needs Houses To Rent: Is Your House RNC Ready? With the first quarter behind us it is evident that Lakewood real estate is off to a solid start. After three months, 79 single family homes have sold, 5 more sales than the same period last year. Although the number of sales did not increase substantially as compared to the first quarter of 2014, several other categories have seen solid gains. The Lakewood Old House Fair will be held on Saturday, April 18th from 10am-3pm at Harding Middle School. This free event will provide folks with the opportunity to speak with contractors about home improvement and repair projects that you are planning for the warmer months. Contractors are available to answer questions about do-self or contracted repairs to make sure that you are on the right track with your projects. Radon is still a mystery to many homeowners and new buyers. Some may be aware that it is something to be concerned about, but not exactly sure how it can affect their family’s health. It’s important to know the facts and safety measures. Ever wonder how many people are involved in a real estate transaction? Believe it or not, a typical sale today involves more than 20 steps and can require over a 100 different people. Less than 20 years ago, a property could be bought with a simple two-page contract. Today, there are better laws to protect the consumer, which include mandated disclosures; environmental and structural reports; and other legal documents that make a transaction more complex. Several professionals with different skills and expertise are needed to ensure that the buying and selling transaction goes smoothly, on schedule and conforming to the legal requirements. Whether your contemplating buying your first property or hundredth, it’s a good idea to be familiar with some of the key players who may work directly with you or behind the scenes. So you've bought a new home, moved in, and are ready to be a home owner. If you are like many home owners, you will file away the report from your home inspection, never to be seen or read again. Experts suggest, however, that you prioritize needed repairs as identified in your home inspection report and set a budget and timeline to address any items. In addition, new home owners should budget and save 1-3% of their purchase price for future, yet-to-be identified repairs. Here are some common repairs that new home owners can expect in the first few years of home ownership. Homebuyers Need To Act Now....But How? Local homebuyers should consider acting quickly this year unless they want to spend more money on their purchase. Locally, Lakewood has seen the Median Sales Price improve steadily over the past few years, improving from $108,000 in 2012, to $122,300 in 2013, and then jumping nearly another 8% last year to $131,000. The forecast is for another 4% gain this year. The reality-- homebuyers will pay more for their home purchase this year. 2014 posted another solid year for Lakewood real estate! Despite historically low levels of inventory, Lakewood still managed to surpass sales of 2013 by nearly 3%, with 449 Single Family Homes transferring ownership! Not only were sales up again, but the Median Sales Price jumped another 7%, finishing at an even $131,000. In 2013 the median was $122,300 and in 2012 it was only $108,000. Not a bad little recovery run for Lakewood! Once upon a time, real estate was thought to slow down as the new year approached, giving way to hot cocoa and flurries of snow. These days, we know better, and when winter comes around, it’s also time to buy or sell your house. So grab your mug, sit down by a fire and find out why now is the season of homes for the holidays! October stats from the local Multiple Listing Service (MLS) serving our 15-County area were just released. The real estate recovery for Single Family Homes continues at a modest pace. October sales were up over last year by 3.4%, but remain down year to date by about 1.2%. The October Average Sales Price was down nearly 3% over last October, but remains up 2% year to date over last year. Market time remains unchanged for the area, remaining steady at 91 days. As we head into the last quarter, the real estate market continues to improve for First Time Buyers, as well as Homeowners (who would like to sell their current homes and "move up"). As more and more investors pull back, first time buyers are able to successfully compete for homes. In recent years all-cash investors have been capitalizing on the available inventory, making it difficult if not impossible for first time buyers and other non-cash buyers to compete. A recent National Association of Realtors survey (NAR) shows that the share of investor sales dropped from 16% in July to 12% in August. About 23% of buyers interviewed reported that their last transaction was cash, down from 29% in July. The Northern Ohio Regional Multiple Listing Service (NORMLS) recently released the August stats for our 15-County Region. It should come as no surprise as you look up and down the streets of Lakewood that New Listings are down this year. In turn, the number of Sold Listings is down as well. Regionally, sales thru August are down 2.4% compared to the same period last year. The good news is that the average sales price remians up, by 1.8%, over the first 8 months of 2013. Average Market Time remains steady at just over 90 days. Whether you are a new home owner, or have been in your home for years, there are several ways to economically add value to your home. A recent article by the Akron/Cleveland Area Board of Realtors (AKAR) suggested 8 home improvements under $5,000 that will also provide the best return on your investment when it is time to sell. The Northern Ohio Regional Multiple Listing Service (NORMLS) just released their July Statistics Report. The report covers both single family homes and condos in their 15-county service area, including Ashtabula, Carroll, Columbiana, Coshocton, Cuyahoga, Geauga, Lake, Lorain, Mahoning, Medina, Portgage, Stark, Summit, Trumbull, and Tuscarawas. The Summer of 2014 is going to be one to remember! Cleveland, yes Cleveland, lands the Republican National Convention. LeBron chooses to come back home. Warren Buffett and Berkshire Hathaway invest in the local real estate market. There's a bit of a renaissance going on in Cleveland. And as one local person has put it, what's good for Cleveland is good for Lakewood! July 4th is just around the corner, which means the year is nearly half over! 2013 was a strong year for Lakewood real estate. Let's take a look at how 2014 is shaping up with nearly 6 months in the books. Where Are All the Homes??? June 1st is right around the corner, and as of May 21st, there are only 93 Single Family Homes for sale in Lakewood. Yep, that's right, only 93! There are nearly more homes currently under contract, 81, than there are for sale. The polar vortex seems to have finally left and with the warmer weather come thoughts of spring cleaning. Spring cleaning isn’t quite the ritual it once was, but there’s still a basic human need to open up and spruce up our homes when the weather gets warmer. To help you scratch your itch to spring clean, here are some spring cleaning tips for those pieces and parts of your home that are most neglected throughout the year. While the weather has remained cold and unpredictable, the Lakewood real estate market has remained hot! In 2013 there were 436 sales of single family homes, an increase of over 10% as compared to 2012! The median sales price increased by more than 13% over 2012, rising to $122,000! The momentum continues in 2014! Since January 1st, there have been 64 closed transactions. Despite the weather, the average time on market was only 90 days. Most notably, the sales have averaged $147,800, and that’s nearly 98% of the asking price. Not too bad! Currently there are 64 single family homes under contract. The average days on market has dropped to 77 days! The average list price at the time of contract is up to $145,100. Of note, 20 of the 64 homes under contract sold in 20 days or less! That’s 31%! You can check out market activity at www.HomeValuesInLakewood.Info. With inventory low, (just 96 homes for sale as of 3/27/14) and buyer demand high expect this trend to continue through the spring market until inventory increases to seasonable levels. Now is the ideal time for home owners to do their homework and get their home ready. Although the local market continues to improve for sellers, now is not the time to sit back and ignore the condition of your home and think it will sell as soon as you put a For Sale sign in the yard. The old adage "You only have one chance to make a great first impression" is still true today! In order to attract the largest buyer-pool possible make sure your home is in tip-top condition and ready to shine! Why Are You Buying A Home?????? Why Are You Buying a Home? The results are in. So how did the sale of Lakewood Single Family Homes stack up as compared to 2012? Let's take a look at the details. This past year there were 436 single family homes sold! That's a 10.66% increase over 2012, and the first time there have been over 400 sales in many years. The Median Sales Price in 2013 was 13.24% higher than the median in 2012, increasing from $108,000 to $122,250. In addition, the Average Days on Market (DOM) decreased from 67 days in 2012 to 44 days in 2013. The Total Dollar Volume increased in 2013 by $12.6M, growing from $50.3M in sales in 2012 to over $62.9M last year! Let's break down the sales and see which Price Points were hot in 2013, and where any major changes occured over 2012. Is NOW The Right Time?? Rising rents, low inventory, and higher sales prices….is now the right time to consider downsizing? 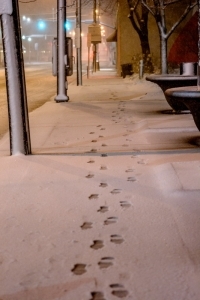 Winter Is Approaching... Is Your Home Ready? Autumn winds blow a chilly reminder that winter is fast approaching. By the time the first snowflakes fall, nearly 400 homes will have exchanged hands in Lakewood (check activity at www.HomeValuesInLakewood.Info). This means that there are 400 homeowners who are preparing to spend their first winter in their new home! Perform the following maintenance tips each fall to protect your property's value and prevent major repairs. With the first 9 months complete it's time to look at how well we are doing in Lakewood Real Estate. Looking at the figures on 9/30/13 there were 120 single family homes active on the market. The median breakdown was 3 bedrooms, 2 bathrooms, 1413 square feet, asking $124,950 and 69 days on the market. There were 23 homes in contingent status and 41 that were pending. As of 9/30/13 there were 322 homes that were sold in Lakewood. The medians for homes sold were 3 bedrooms, 2 bathrooms, 1535 square feet, selling at $125,577 in 41 days. In 2012 there were 306 single family homes sold in the first 9 months. The 2012 medians were 3 bedrooms, 2 bathrooms, 1459 square feet, selling for $108,000 in 65 days. So the number of solds is up this year (322 vs. 306) with prices rising higher ($125,577 vs. $108,000) as well. Homes are also selling quicker (41 days vs. 65 days). With only 120 homes for sale, and the market averaging 36 solds per month, there isn't even a 4 month supply of homes on the market indicating it is still a good time to sell. There were 49 condiminiums active on the market on 9/30/13. There were 5 in contingent status and 12 pending. The medians on sold condominiums were 2 bedrooms, 2 bathrooms, 971 square feet, selling for $58,500 in 61 days. In the first 9 months of 2012, there were 81 sold with medians being 2 bedrooms, 1 bathroom, 873 square feet, for $49,000 in 79 days. The number of sales was down (72 vs. 81), but the prices are up ($58,500 vs. $49,000), and selling quicker (61 days vs. 79 days). With the market averaging 9 sales per month, there is an 8 month supply of condiminiums on the market. The good news is that the prices are higher. School is back in session, Labor Day has come and gone, and 3/4 of the real estate market is nearly in the books! Where has the summer gone?! When we are young adults most of us step out into the world renting our first apartment. What a feeling of independence! Then, much to our parents' dismay, some of us come back, but we save up enough money, get a better job, and then do it again. Then, at some point the renting vs. buying creeps in. For some of us there may be good reasons for renting housing, for others, owning is the only way to go. The right answer is, there is no right answer. The decision is a personal one. First Half Real Estate Review: How Are We Doing? Amazing to say, but July is half over already! And so is half of the real estate year! Nationally we keep hearing reports that the housing sector has recovered and everything is doing great. 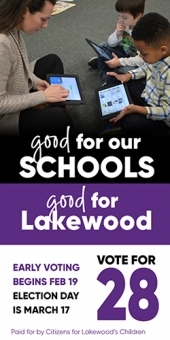 How has Lakewood stacked up during the recovery? Let's take a look at the numbers. During the first 6 months of 2013 a total of 193 Single Family Homes transferred ownership. The Average Sales Price was $134,900 and the Median Sales Price was $115,500. During the first 6 months of 2012, 193 Single Family Homes also sold! The Average Sales Price was $130,600 with the Median Sales Price at $107,900. The Average Sales Price is UP 3.3% over last year and the Median Sales Price is UP 7% over last year! In addition the number of days on market-- the time it takes to sell-- has improved from an an average of 110 days in 2012 to 91 days this year. The Median Days on Market is even more dramatic, improving from 71 days in 2012 to 44 days in 2013. The reality is homes that are "priced right" are selling quickly and in most cases for more than they would have received last year. So You Think You Want To Buy A Home? The first step is to take an honest look at your financials and set a reasonable monthly budget. How much per month can you comfortably commit to your housing payment? Keep in mind that your monthly mortgage will be one payment that includes your principle, interest, and prorated taxes and homeowners' insurance. We'll touch more on this later. The snow is finally gone, right?! Now is the time to address seasonal maintenance issues for your home, regardless if you are getting your home ready for the market or just looking to give it a springtime tune-up. Addressing repairs and upgrades will help lower energy costs while adding value and marketability down the road. Windows: Did you notice significant drafts this past winter? If so it may be time to consider refurbishing your windows or replacing them altogether. Today there are all kinds of options for home owners. It could be as simple as adding quality storm windows, fresh caulk, and/or weather stripping to existing windows, which will also allow you to maintain the character and integrity of your home. Contact a reputable Lakewood contractor to discuss options that fit your budget. Single-family home sales will continue strengthening, according to latest report from the Urban Land Institute (ULI). The Real Estate Consensus Forecast, ULI’s semi-annual survey of the nation’s leading real estate economists and analysts, examined 26 economic and real estate indicators in the third quarter. The report predicted healthy estimates for single-family housing as compared to ULI’s March report. “The predictions diverge from the previous forecast [from March] in that it is more optimistic regarding the single-family housing sector,” said ULI Executive Director Dean Schwanke. When spring arrives in Cleveland there is always a buzz in the housing market, and there is a lot to buzz about. For the first time in a long time there has been a huge reduction in homes listed for sale which means home prices will start to rise. If you have been thinking about selling now may be a good time to get busy on a marketing plan. Should I FINALLY Get Off The Fence? So Mr. and Mrs. Potential Buyer saunter up to me at a gathering and start up the usual patter about the real estate market. Part 3 in our three-part series will take a look at the sale of Multi-Family properties in 2012. We will define “multi-family” as legal 2- and 3-family dwellings. Currently there are 63 properties for sale. The average listing price is $120,500 and the average time on the market is 212 days. In 2012, a total of 105 Multi-Family properties sold. The average sales price was $82,900, fetching about 93% of list price. It took an average of 163 days to sell. Compare this to the benchmark years of 2005 & 2006. In 2005 there were a total of 129 sales, with an average sales price of $145,700. Market time was about 100 days. In 2006 the total number of sales dropped to 119, with an average sales price of $141,300. Average market time was still about 100 days to sell. By 2007 the number of sales dropped below 100 units, and the average sales price plummeted to an average of $114,000. The Multi-Family market took another hit in 2008 with the average sales pricing dropping to $86,500. Multi-Family properties hit bottom in 2009. Although the number of sales once again broke 100 units (115), the average sales price dropped again, to $75,300.